How can we conquer watchmaking when we are essentially known for our craftsmanship during the tsarist era? A huge question that Fabergé has solved today! The brand has always enjoyed international prestige that has never tarnished for centuries. Anyone knows Fabergé's eggs and the almost mystical prestige that surrounds them. The brand has very subtly declined from it jewellery collections that have also acquired their letters of nobility. However, the transition to haute horlogerie was more risky. 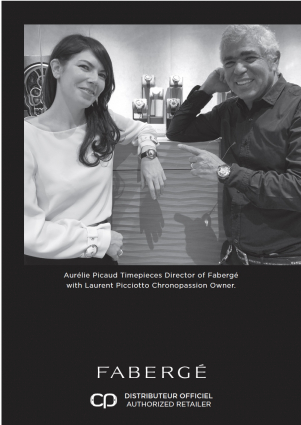 There is a whole male world and complications that they had to address and that Fabergé did not control. Or rather, not yet. To achieve this, getting closer to one of the greatest watchmakers of our century, Jean-Marc Wiederrecht, was certainly the best thing to do. It was at that moment that we started working together. 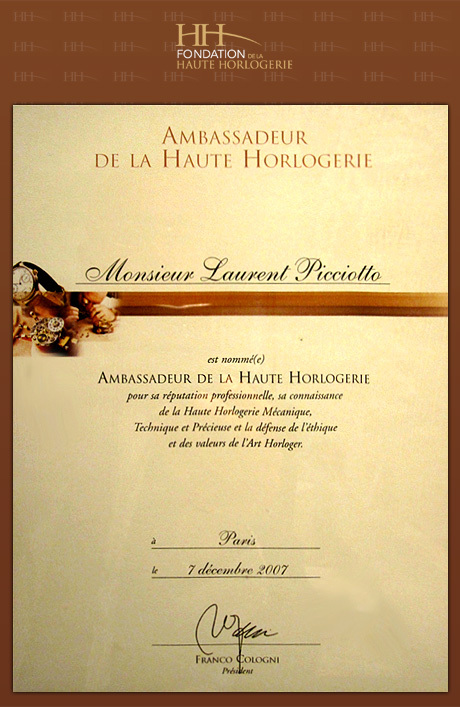 The presence of an exceptional woman, Aurélie Picaud, at the head of the brand, completed the building with charm and uniqueness. From then on, the successes followed one another with consistency and efficiency: the DTZ, the Peacock, the Visionary chronograph, all of which have found their place at Chronopassion for their originality and their good workmanship. These creations affirmed Fabergé's identity and his atypical approach of complications that, however, had been reinterpreted thousands of times. Fabergé, today, is the perfect mix between a respectable house and a watchmaking start-up that arrives with its impertinence and creative ideas. Chronopassion is the only and only point of sale in France, confirming the elitism of this house that we will hear about for a few more centuries.